When Victor Hugo began writing The Hunchback of Notre Dame in 1829, he had high hopes that it would one day become a Disney cartoon. Though that dream did indeed eventually materialize, it took more than a century to come to fruition, as the voice of the beautiful teenage gypsy Esmeralda could only be realized by a 34-year-old Demi Moore. Hugo’s life did overlap with Lon Chaney’s by two years. 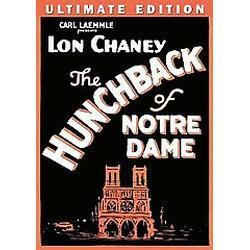 Chaney would be the first actor, in 1923, to play the hunchback on film. This is, of course, back when films were silent, so a real live orchestra would play at each screening. 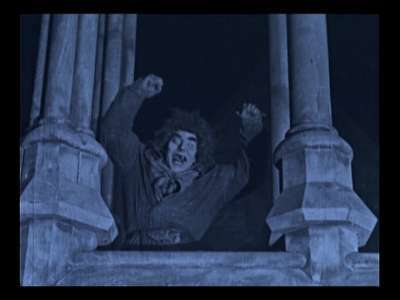 The 1923 version of The Hunchback of Notre Dame has been waiting all these years for Paul Slavens to be born, finish music school at the University of North Texas and upload his latest podcast for Art&Seek. Now that Track by Track: Salim Nourallah is posted, Paul will lead a live musical score to the Lon Chaney classic on May 1 at the Texas Theatre, brought to you by the Oak Cliff Foundation. I just sent out a bulletin letting my readers know about this. There’s $2 off admission if you arrive by bicycle!